Dolomite is a global leader in the design and manufacture of microfluidics devices. With offices in the UK, US and Japan and distributors throughout the rest of the world, its clients range from universities developing leading-edge analytical equipment, to manufacturers of chemical, life sciences and clinical diagnostics systems. 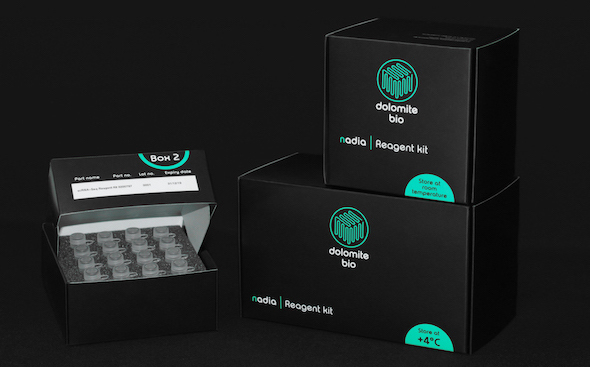 Dolomite Bio is delighted to announce the launch of the game-changing Nadia single cell platform, a groundbreaking system set to escalate scRNA-Seq to new heights, offering the fast-growing single cell research sector an innovative solution for a wide range of potential applications. The Nadia instrument is a touchscreen-controlled, droplet-based microfluidic platform for single cell research, combining superior microfluidics, automated temperature control and gentle cell/bead agitation to offer a single compact instrument that delivers highly precise and reliable results. Dolomite Microfluidics’ Mitos P-Pumps are proving popular with customers around the globe. The μEncapsulator System from Dolomite Bio is a complete solution for high throughput encapsulation of individual cells into picoliter droplets. Dolomite Bio has launched a new Injection Valve and Sample Loop for single cell RNA sequencing workflows. 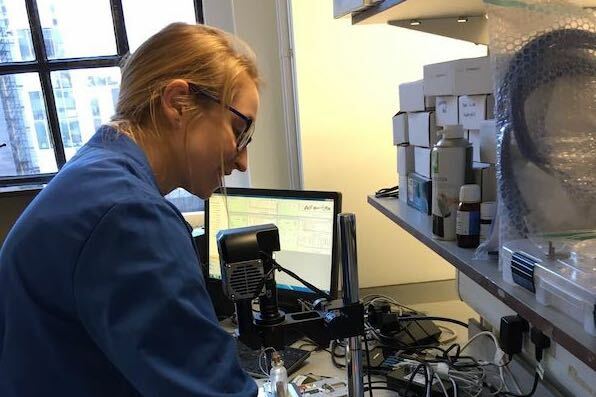 Researchers at The Institute of Cancer Research (ICR), London, are taking advantage of the single cell encapsulation capabilities of Dolomite Bio’s Single Cell RNA-Seq System to investigate resistance mechanisms in prostate cancer. Dolomite, a world leader in microfluidics innovation, is celebrating the success of its Fluidic Factory 3D printer in the ‘Processing and Prototyping’ category this year’s R&D 100 Awards. Dolomite Bio’s Single Cell RNA-Seq System is helping researchers at the University of Helsinki to investigate autoimmune diseases. 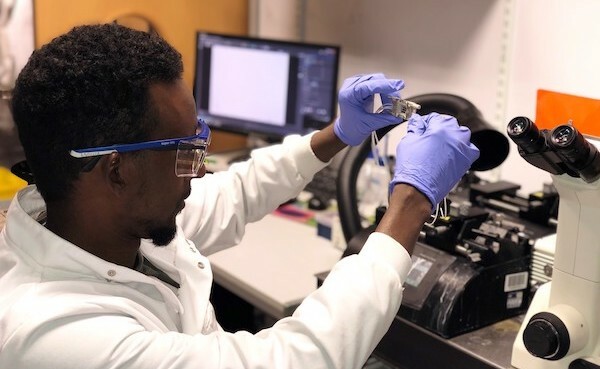 Dolomite microfluidic chips are helping researchers from the Biodesign Institute at Arizona State University (ASU) to develop novel enzymes capable of polymerising synthetic nucleotides. Dolomite has developed the Meros High Speed Digital Microscope specifically for microfluidic applications. Dolomite, a world leader in microfluidics innovation, has launched the groundbreaking µEncapsulator 1 System, the only microfluidic product specifically designed to meet the needs of research biologists. Dolomite, a pioneering microfluidics specialist, and Lab on a Chip are challenging entrepreneurial researchers, scientists and engineers to enter the Productizing Science Competition 2015, proposing novel, microfluidics-based concepts with commercial potential. It enables unrivalled reproducibility and selectivity of droplet size of both outer and inner phases with either oil-in-water-in-oil or water-in-oil-in-water droplets. The Double Emulsion System is highly beneficial to applications in the food industry, in pharmaceuticals and cosmetics that use double emulsions as delivery vehicles or encapsulation solutions for various active ingredients, or more generally in paints and coatings. Fledgling spin-out company Drop-Tech has turned to microfluidics specialist Dolomite for its product development and fabrication skills to help productize the advanced and innovative Robo­Drop™ technology into the Mitos Dropix. Mitos Dropix is a droplet-on-demand sampler that is set to make it easy to produce extremely miniaturized droplet compartments with excellent control over their contents. The collaboration began when Drop-Tech entered – and won – Dolomite’s Productizing Science® Competition, sparking discussions and exchanges of ideas between the two development teams. As part of Dolomite’s new OEM modules and components, the compact low power pumps are extremely small in size, ideal for easy integration into custom systems and portable instruments where space is at a premium. The range includes two EO Pump Cores, Basic and Bubble Free, as well as an EO Pump Open Interface with 1/4 - 28 outlet offering increased user flexibility. Dolomite given SMART award to develop a “plug and play” microfluidic system Jul 27, 2012 Microfluidics expert Dolomite has been awarded a SMART grant from the UK Government to develop a plug and play microfluidic system which will make microfluidics more accessible to a wider market and will increase productivity in research labs. The project will consist of prototyping a suite of integrated tools, specifically targeted at microfluidics users in research and education, with the ambition of providing a sophisticated suite of intelligently co-ordinated capabilities. The suite will be based around a modern touch-screen interface enabling clear visualisation of data and virtual reconfiguration of the connected hardware such as pumps and valves. Dolomite introduces closed-loop control of micro-scale flow rates using pressure for pulse free performance Jul 9, 2012 Microfluidics expert Dolomite has enhanced its world leading Mitos P-Pump range with the introduction of intelligent closed-loop Flow Control which provides unparalleled control of flow rates from 70 nl/min to 5 ml/min. Dolomite launches new competition offering the chance to productize scientific discoveries Jun 15, 2012 Microfluidics expert Dolomite, has launched a Productizing ScienceTM Competition challenging the innovative and entrepreneurial spirit of researchers, scientists and engineers by providing them with the opportunity to turn a novel scientific discovery into a commercial product. Dolomite launches new microfluidic interface for quick and reliable PDMS chip connection Jun 13, 2012 Microfluidics expert Dolomite has extended its world leading Multiflux® range to include an innovative PDMS Chip Interface which provides a flexible and fast solution for PDMS chip connections. Dolomite provides precise control over pressure and flow rates Sep 22, 2010 Dolomite, a world leader in microfluidic design and manufacture, has introduced the new Mitos Sensor Units to provide a flexible system for measuring and displaying pressure and flow rates in microfluidic systems. With a real-time display and low internal volumes, each sensor is designed to minimise interference with the liquid flow. Dolomite’s Mitos P-Pump exceeds market leading syringe pump technology Aug 27, 2010 As a world leader in microfluidic design, Dolomite is dedicated to providing highly optimised equipment for a range of microfluidic applications. The recently launched Mitos P-Pump provides a pulseless liquid flow, using a precise pressure driven pumping mechanism. Dolomite Introduces Advanced Droplet Generation System Jul 28, 2010 Dolomite, a world leader in microfluidic design and manufacture, has introduced the modular Droplet Advanced System, which enables users to produce more than 10,000 highly monodispersed droplets per second, ranging from Ø 20 to 250µm. New Syringe-based Droplet Starter System enables high throughput droplet experimentations Jul 21, 2010 Dolomite, a world leader in microfluidic design and manufacture, has introduced the modular Syringe-based Droplet Starter System, which enables users to produce more than 10,000 monodispersed droplets per second, ranging from Ø 20 to 250µm. Dolomite Introduces Pressure-based Droplet Generation System Jul 13, 2010 Dolomite, a world leader in microfluidic design and manufacture, has introduced the Pressure-based Droplet Starter System, which is ideal for the initial exploration of droplet microfluidics. It provides a complete solution containing all necessary pumps, connectors and chips, enabling the immediate production of highly monodispersed droplets from Ø 20 to 150µm, with a Ø tolerance of +/- 1 %. Dolomite Introduces New Range of Droplet Generation Systems Jul 8, 2010 Dolomite, a world leader in microfluidic design and manufacture, has introduced the Micro Droplet Systems which enable rapid advances in droplet microfluidics and allow users to produce more than 10,000 monodispersed droplets per second. Dolomite leads the way in multi-way fluidic connections Jun 2, 2010 Dolomite, a world leader in microfluidic design and manufacture, has introduced the new Mitos In-line Connector System. This innovative connector provides a single, fast and reliable multi-way connection, which offers extensive time savings when compared to traditional connections between individual pipes. Dolomite excels with unique customization project Apr 8, 2010 Dolomite has extensive experience in material processing and is unique in combining traditional manufacturing techniques with micro-engineering expertise. Through an in-depth understanding and innovative exploitation of material properties that are important for micro-scale experimentation, Dolomite has developed and manufactured a range of standard and customized flow cells for chemical analysis. 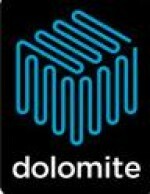 Dolomite double sales in 2009 Jan 21, 2010 Dolomite, a world leader in microfluidic design and manufacture, reported exceptional growth in 2009, doubling its year on year turnover, with a significant improvement in profitability. Dolomite introduces microfluidic chip for multiphase flow Dec 11, 2009 Dolomite, a world leader in microfluidic design and manufacture, has introduced the glass microfluidic Y-Junction Chip. Enabling liquid-liquid contact of immiscible fluid streams, as well as investigations into the diffusion of molecules between parallel laminar flow streams, the chip has extremely smooth channel surfaces for an uninterrupted flow. Dolomite Provides Pulseless Liquid Flow Dec 9, 2009 Dolomite, a world leader in microfluidic design and manufacture, has introduced the Mitos P-pump to provide a pulseless liquid flow using a precise pressure driven pumping mechanism. Dolomite improves control of microfluidic heating Dec 8, 2009 Dolomite, a world leader in microfluidic design and manufacture, has introduced the Mitos Hotplate Adapter, enabling exact temperature control of microfluidic chips in conjunction with a range of hotplates.